Meeting was held at the Village at East Farms, Waterbury. Speaker on Elder Safe Program allowing Waterbury Fire Department to install photoelectric smoke and CO alarms in eligible Waterbury residents homes. 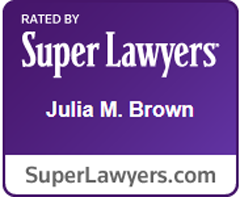 Legislative Update from Attorney Julia M. Brown regarding: Alzheimer Respite Grant; Probate Court restructuring; Transfers to Special Needs Trusts; Money Follows the Person Program; PCA services under the CHCPE program; Nursing Home Bill of rights; and the Silver Alert System. Thanks to: Marissa of Growing Options for setting up our inaugural CNV blog; to Tully Meyer of Paradigm Health Care and Laura Gallo of a A Place for Mom for volunteering to serve on the Legislative Committee; and to Randi Bellemare of the Village of East Farms for hosting our meeting.